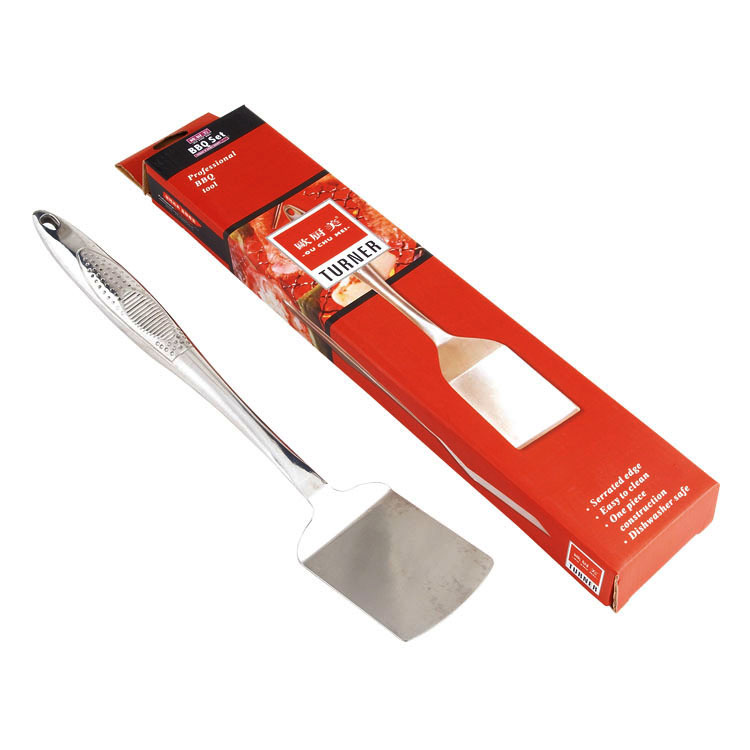 We use high quality stainless steel metal so your hamburger flipper is extremely durable and will never bend or break when picking up large pieces of meat.A hanging loops inset behind of the handle ,make you take in and take out from the hook .The handle of material is mirror finished stainless steel that show your luxury ! 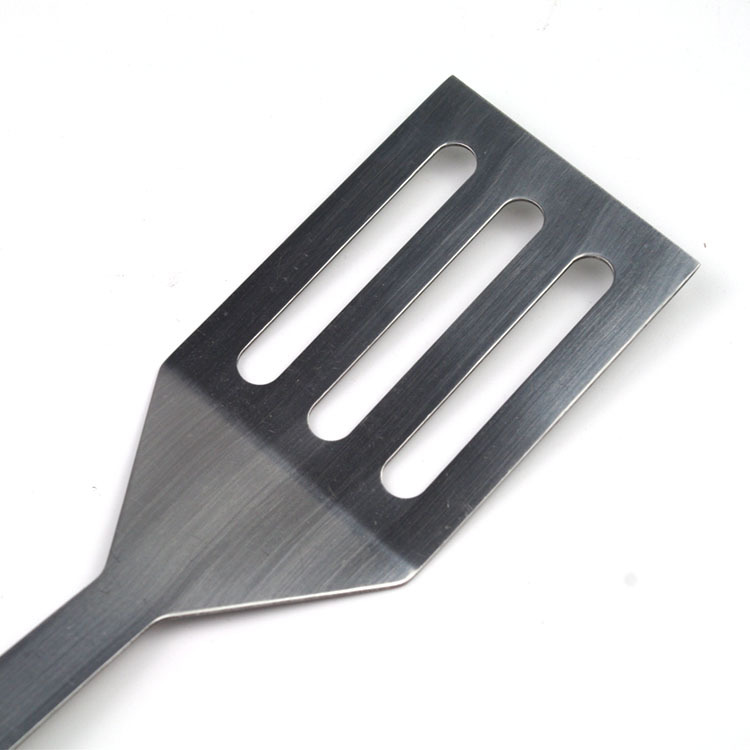 Thanks to the high quality materials used, the bbq slotted spatulas is high heat resistant and very easy to clean. 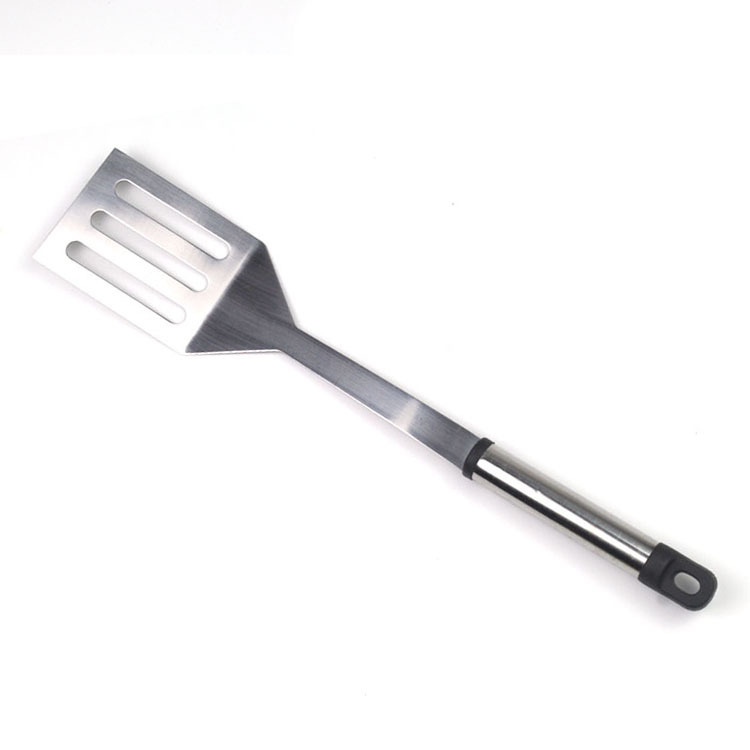 Looking for ideal Bbq Slotted Spatula Manufacturer & supplier ? We have a wide selection at great prices to help you get creative. 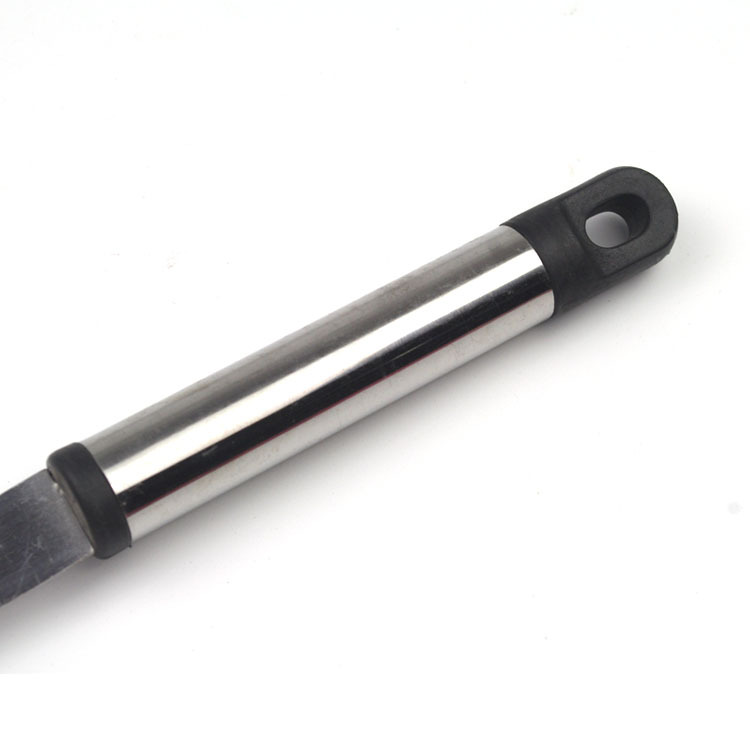 All the Stainless Steel Bbq Turner are quality guaranteed. We are China Origin Factory of Hanging Loops Handle Spatula. If you have any question, please feel free to contact us.